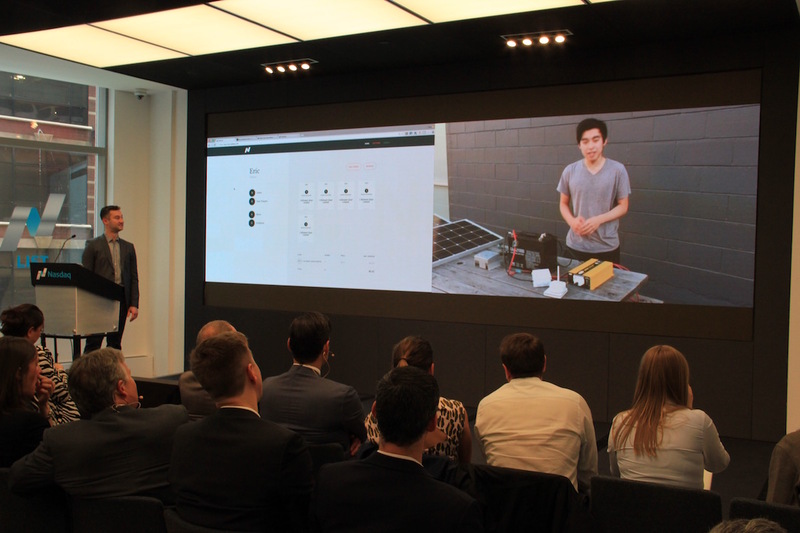 During a demonstration at Nasdaq’s global headquarters today, the stock exchange operator unveiled a service that lets solar power generators sell certificates using its Linq blockchain service. The solar panels are connected to the Internet with technology provided by Filament, a Nevada-based blockchain startup that has raised $6m in venture capital to build technology that allows traditional electronic devices to be connected online. Through an API pull from Nasdaq’s blockchain-based private markets platform Linq, anonymous certificates are created and can – in theory –subsequently be sold to anyone who wishes to subsidize solar energy. Despite a bug or two during the live video feed, the cryptographically verified certificate, representing solar power generated in the western US, appeared live on the screen in New York City. In interview after the event, Alexander Zinder, senior director of global software development for Nasdaq, explained how the technology powering the use case works. The project is part of collaborative effort between Nasdaq and design firm IDEO’s CoLab to facilitate partnerships that take a design-based approach to creating human-usable technology. “We think it’s a very compelling use case,” said Zinder, who also helped develop Linq as part of the exchange’s effort to make stock sales more efficient. Elsewhere in the blockchain space, applications related to decentralized energy distribution have been gaining steam. Brooklyn-based startup LO3 recently demonstrated technology that allowed one New York resident to generate solar power and sell a certificate for that energy to his neighbor. In Vienna, Grid Singularity is following a similar model using blockchain applications. 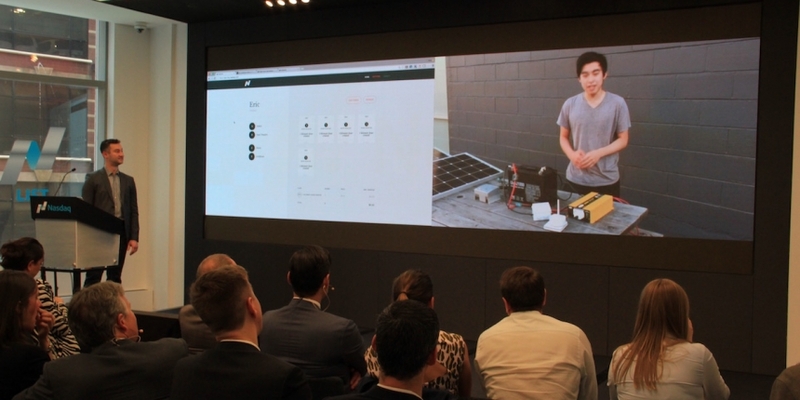 At CoinDesk’s Consensus 2016 blockchain conference earlier this month, Australian startup Sun Exchange was a startup contest finalist for its platform that lets investors back small-scale solar projects and receive monthly dividends. But it would be a while before any commercial product evolves out of that process, he later cautioned.